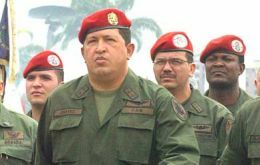 Venezuelan President Hugo Chavez has said he believes unlimited terms in office should only be granted to the president - not to the governors and mayors of Venezuela. If so Chavez could remain in office for 22 years until 2021. This Monday, Spain's most prestigious newspaper El País from Madrid, brought light onto the Falkland Islands dispute by reproducing the speeches of Argentina's Foreign Affairs minister Jorge Taiana and Falklands elected Councillor Richard Davies before the United Nations Decolonization Committee in early June. A radar failure over the Amazon forced Brazil to turn back or ground a string of international flights Saturday, deepening a national aviation crisis just hours after the president unveiled safety measures prompted by the country's deadliest air disaster. 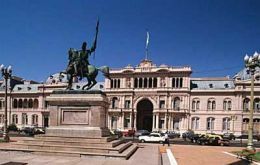 Argentina last year under President Nestor Kirchner contracted 161.000 government employees at federal, provincial and municipal level, which is equivalent to 441 per working day, (or 18 every 60 minutes) according to La Nacion Sunday edition. 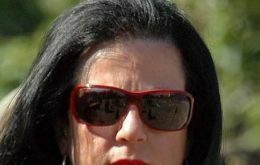 While leading government figures continued their onslaught on a judge who has summoned Defence Minister Nilda Garré in a gunrunning case, the minister backtracked yesterday on her previous claims to ignorance as to what a FAL (light automatic rifle) is. 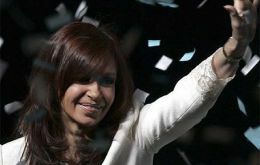 Argentina's First Lady, Senator Cristina Fernandez Kirchner launched late Thursday evening her campaign to become the country's first elected woman president praising her husband's administration and pledging to lift Argentines self esteem. 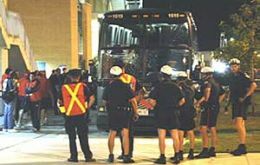 Chilean President Michelle Bachelet condemned Friday the Toronto police's unjustified actions after several members of the Chilean FIFA U-20 selection were reportedly shot with stun guns and sprayed with pepper spray after losing 3-0 to Argentina at Toronto's National Stadium. United States Treasury Secretary Henry Paulson endorsed Chile's bid to become the second Latin American nation, after Mexico, to enter the Organization for Economic Cooperation and Development.